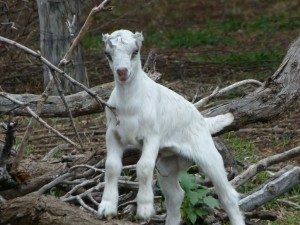 Goats are a great addition to any hobby farm, especially if you are looking for land management or for a profit. 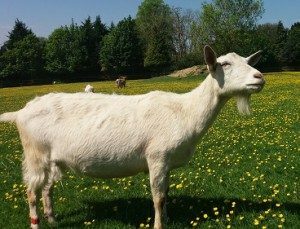 An interesting fact about goats is that they were among the earliest animals domesticated by humans, more than 10,000 years ago. 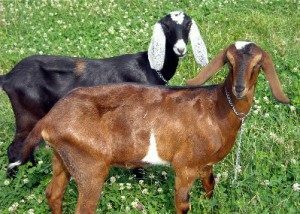 Goats don’t need a large amount of land – two to ten goats can reside peacefully together on one acre of land. These top-down grazers will eat weeds, leaves, and grass depending on what they require. 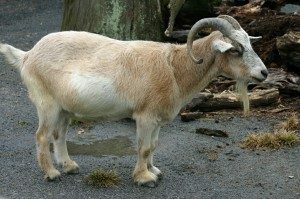 Goats are ruminants, meaning they have a four-compartmented stomach and chew their cud like cattle. Goats are known for being naturally curious. They are quite agile and can climb and balance in unwarranted places. They are actually the only ruminant to regularly climb trees. Due to these traits, a very sturdy and secure fence is necessary. If a goat finds a hole or weakness in the fence, they will continually try and get out of it. Other goats will catch on and quickly start doing the same thing. 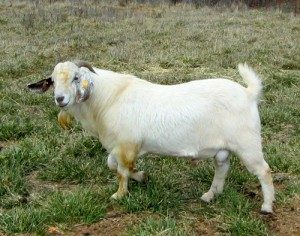 Because they were domesticated so long ago, goats try to communicate with people similar to domesticated animals like dogs or horses. They often look to human guidance when presented with an obstacle. 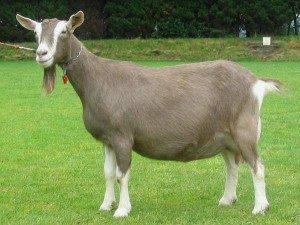 Female goats are called “does” or “nannies”. 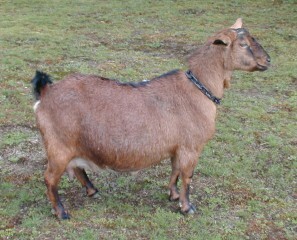 Non-neutered males are called “billies” or “bucks”. Neutered males are called “wethers”. Goats can provide milk as well. 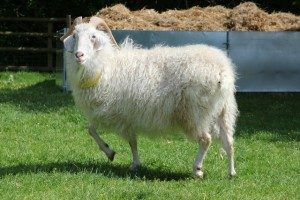 Goat milk has risen in popularity thanks to its health benefits like reducing inflammation, acting as a metabolic agent, and is high in calcium. 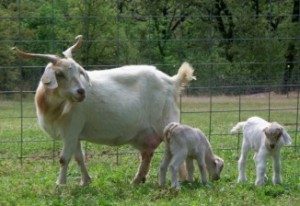 If you’re looking to keep goats on your hobby farm for producing milk, some good breeds are: Alpine, Kinder, LaMancha, Nubian, Oberhasil, Pygmy, Saanen, Spanish (Brush), and Toggenburg. 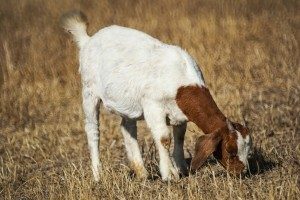 If you are looking to use your goats for meat purposes, consider breeds like the Boer, Kiko, Kinder, Savanna, or Spanish. 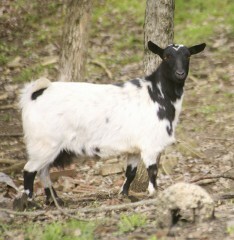 The mean from young goats is known as “kid” or “cabrito” (in Spanish). 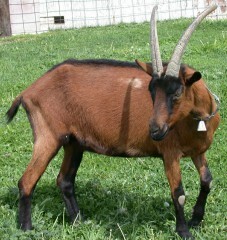 Adult goat meat is known as “chevon” or just simply “goat”. Not only are goats useful when they are alive, they also are needed when they have passed. Goat intestine is often used to make “catgut”, which is used as material for internal human stitches as well as musical instrument strings. 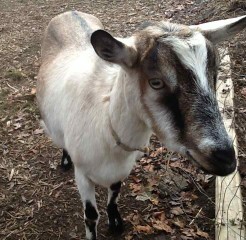 Goats are an absolutely wonderful addition to any hobby farm! 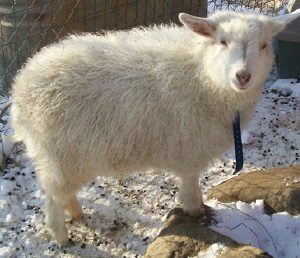 Searching for angora goats in or near Oklahoma. 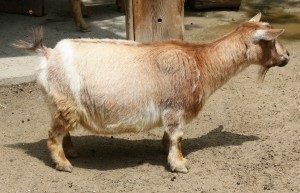 Anybody know anyone in the US that would have a “Poitou goat”? 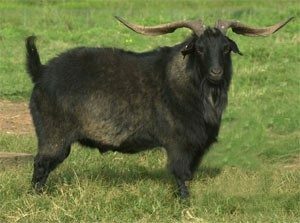 Checking what I have to do to list Goats for sale?